Very Light Flavor with a unique "Shred" in the flake. THE FISHERY - SeafoodS.com shows a strong presence in Boston Display Auction, Boston Pier, and a multitude of Day Boat Hand Gear operators who supply some of the best quality in New England. 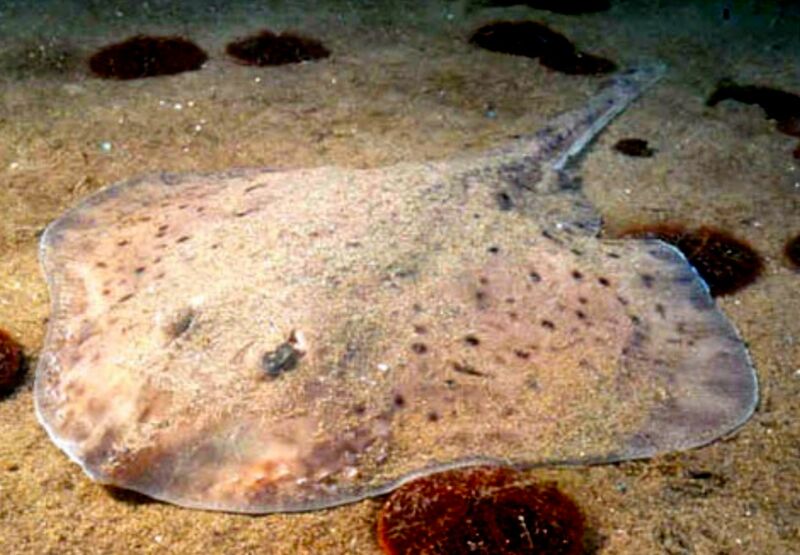 THE FISH - Skate is in the ray family and essentially the wing is used in cooking. They have a unique striation in the flesh that produces more of a "shred" than flake. The flesh is very soft and has a line of cartilage running down the muscle striation. The "Fillet" typically refers to a wing that is free of skin and cartilage. "Peeled" refers to skin off cartilage in, and "Whole" is skin on cartilage in. SeafoodS.com offer all forms of Skate wing.